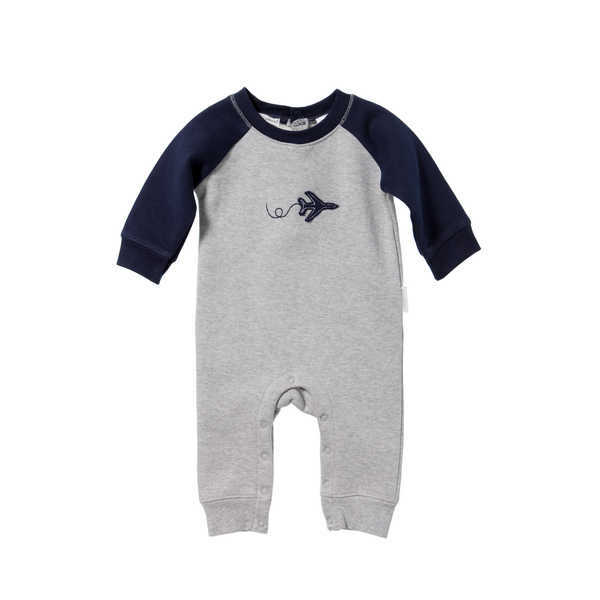 This long sleeve footless track growsuit features contrast navy sleeves and a navy plane appliqué on the chest. Snap buttons at the nape and crotch allow for easy changes. 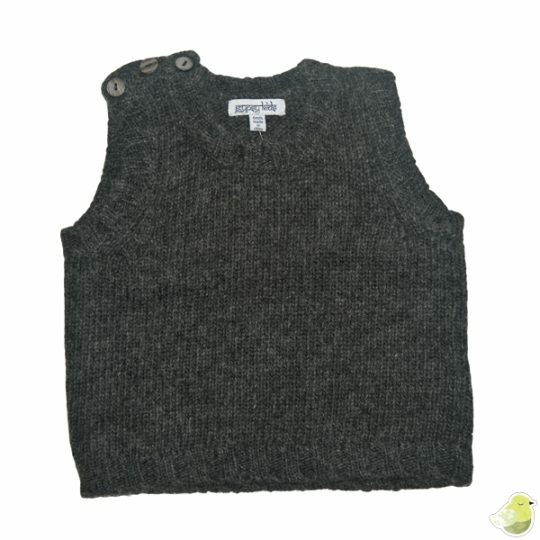 Made from 100% certified organic cotton fleece and machine washable. Available in sizes 000 (0-3 months) to 1 (12-18 months).